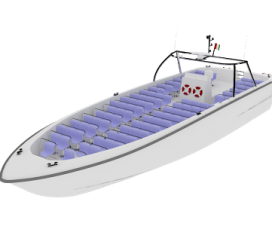 Boat design for ambulance should be suitable for work purpose. Boat design should be enough movement space on the deck. Also, Boat should be included all equipment for ambualance boat. 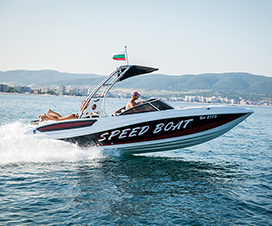 Twin 900Hp power engines, high speed, easily accessible. (Max 50knot) Especially, inadequate road traffic locations, patients, rapid and comfortable, designed for transport ashore. 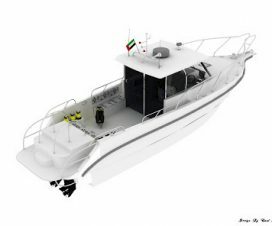 Ambulance 49 is a commercial boat design. Ambulance boats can be customized in hull shape, engine, drive & lifesaving facilities as to suit the needs in marine and inland conditions. 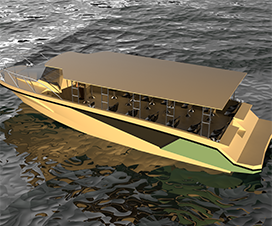 Boat can use Stern Drive, Jet Turbine or propulsion system.